Faith, Hope and Art: Reggio Emilia... if it's good enough for my classroom, it's good enough for my home! While taking my grad class this last month, I learned about the Reggio Emilia approach to education. While it is primarily used for early childhood education, I was inspired and convicted all at the same time about my classroom, my approaches to teaching and even my home! Child, parent and teacher are all partners in learning. Teacher is an observer. Provide the tools and the foundation, but allow the students through trial and error to take control of their learning. The environment is the third teacher. 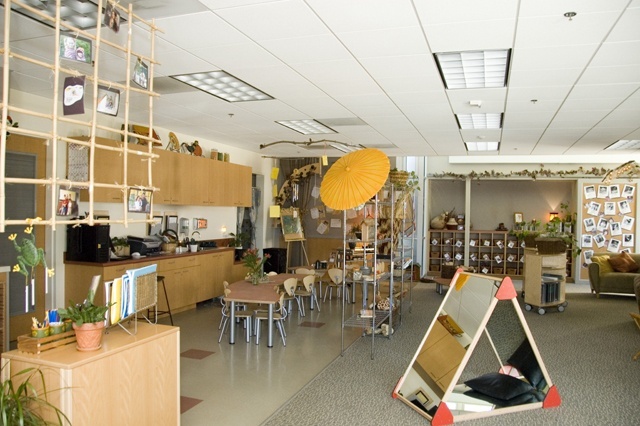 "The layout of the physical space in the classroom encourages encounters, communication, and relationships. The arrangement of structures, objects and activities encourages choices, problem solving, and discoveries in the process of learning." Children participate in complex, long-term exploration of projects. A project could last the entire school year! Learning is documented daily. The teacher OBSERVES the children learning and documents specific examples of learning. 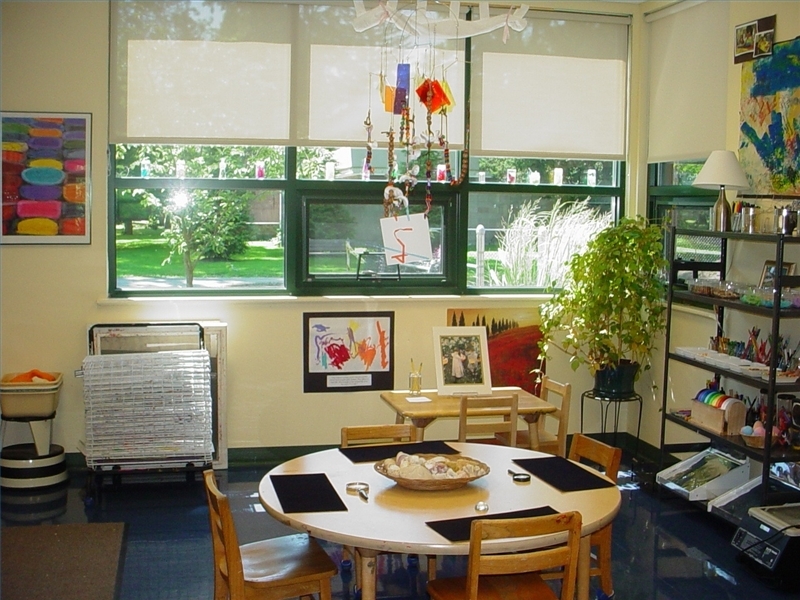 Here are some Reggio classrooms. I love them. The natural light, the clean lines, the plants and the overall sense of wanting to be in that room! But now let's take this home. How does this play into my home life? 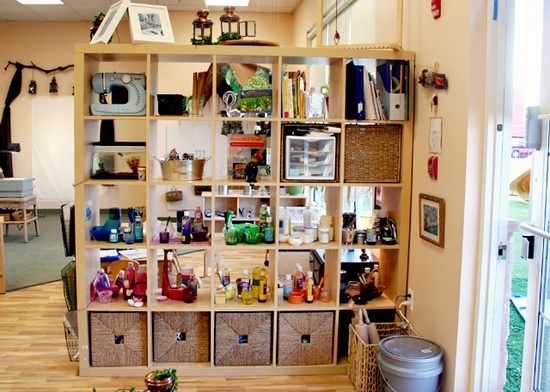 Well, as I am working on the girls rooms and organizing their crap toys, I am inspired to use more natural and/or clear products to store things in instead of brightly colored bins. I love storage bins, but I have found that these brightly colored plastic bins overwhelm Lexi. She can't see what is in them, she can't distinguish easily where things go and then ends up in a meltdown because she didn't make any progress cleaning. So, I am thinking.. instead of deciding for her where things should go, I am going to invite her into the conversation and allow her to organize based on how she wants thing done. 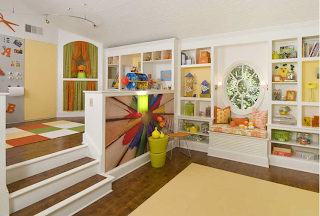 My gosh, it is her room after all. She LOVES pretty things and I think would probably do much, much better with clear glass jars to put Barbie shoes in rather than have a large tub full of Barbie stuff that she can't find. I like how the picture below has random items placed together, not for function, but for color. Lexi would be all over this! 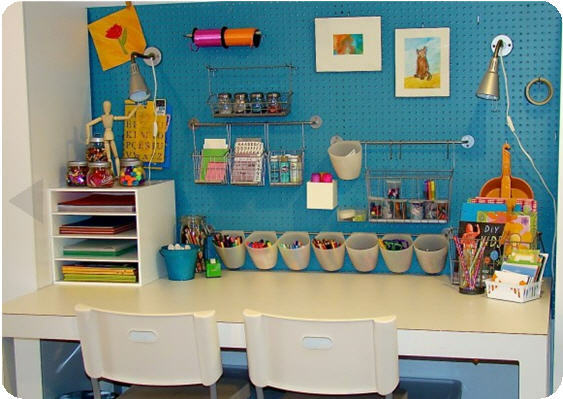 And really, why should I care if she puts her Barbies, her books and her art supplies together based on color rather than function! And this is a dream playroom! Wow. 97 years + joy= makes a well lived life. What kind of light am I? Spotlight or a Candle? It was a rear kickin' kinda morning!! 30 Day Fitness Challenge.. You with Me? Redoing the Girls Rooms... day one.